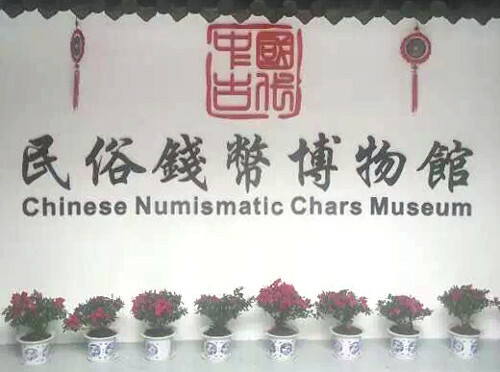 The Chinese Numismatic Charms Museum (中国古代民俗钱币博物馆), China’s first museum dedicated specifically to ancient Chinese charms, officially opened on February 1, 2015 in Haikou (海口市), Hainan Province (海南省). The museum is located in Movie Town which is a movie-themed town built to resemble the city of Chongqing (重庆市) as it existed in the year 1942. Chongqing was the provisional capital of the Republic of China during World War II (Second Sino-Japanese War 1937-1945 抗日战争). In keeping with the theme, the museum is located in a three-story building on 1942 Street (1942民国街) built to l0ok like the Szechuan Kanting Civilian Commercial Bank (chuan kang ping min shang ye yin hang 川康平民商业银行) that existed in Chongqing in 1942. The Szechuan Kanting Civilian Commercial Bank was established in September 1937 through the merger of the Cultivation Bank of Ch’uan K’ang (chuan kang zhi ye yin hang 川康殖业银行), the People’s Bank of Chungking (chong qing ping min yin hang 重庆平民银行) and the Szechuan Commercial Bank (si chuan shang ye yin hang 四川商业银行). The bank, however, served as more than just a bank. With the Mukden Incident of 1931 (九·一八事变), the fear was that the Japanese would invade and occupy Beijing. To prevent the possibility of the Japanese looting the nation’s art treasures and cultural heritage at the Forbidden City (Palace Museum 故宫博物院), more than 600,000 of the most precious artifacts were packed into many thousands of crates and secretly transported to Nanjing. The Marco Polo Bridge Incident of 1937 (七·七事变) was the pretext for Japan launching a full invasion of China. The national treasures were moved again. 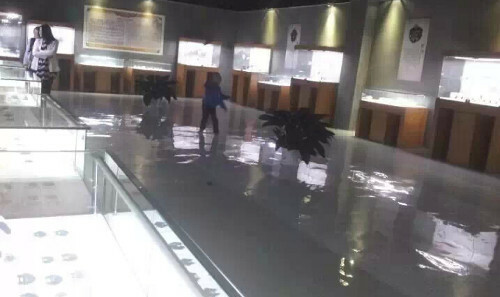 Because the Szechuan Kanting Civilian Commercial Bank in Chongqing had a very secure second floor warehouse, a portion of these national treasures were stored there for safekeeping. The national treasures remained well-protected at the bank and survived the war even during the extensive Japanese bombing of Chongqing which began in 1938. It is fitting, therefore, that the new Chinese Numismatic Charms Museum is located in a replica of this bank. The museum has exhibition areas covering more than 530 square meters. 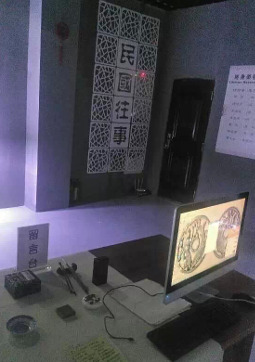 The first floor exhibit is entitled the “Republican Past” (民国往事). The second floor has “Legacy of the Ancient Sea” (古海遗珍) as its theme. The third floor will be a multimedia exhibition hall. 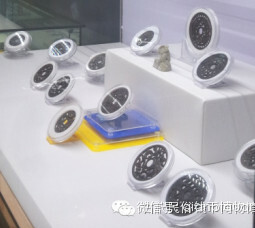 The museum is the first in China to specialize in the display of old Chinese lock and pendant charms. Some of the museum’s collection of these types of charms can be seen in the display cases in the above image. The museum also has a large collection of ancient Chinese open work charms. Several of the open work charms may be seen in the image to the left. The museum has on display more than 2,000 Chinese charms from the Han Dynasty (206 BC – 220 AD) to the Republican Period (1912-1949). Also on exhibit are silver coins and paper money from the later years. Admission to the museum is free to the public.